October continues as we highlight horror comics! Look for a couple of covers on Halloween! 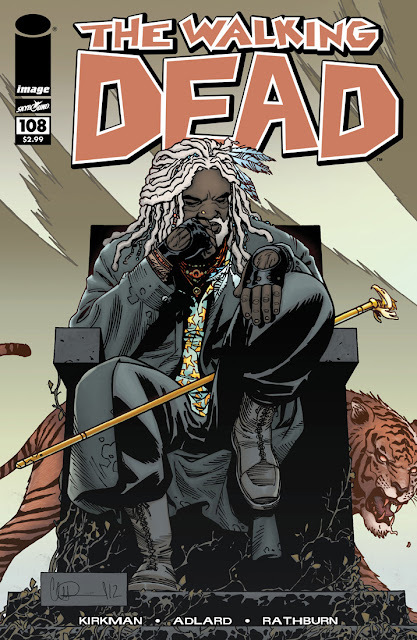 For today though it is the first appearance of King Ezekiel in The Walking Dead. As people who viewed this week's season premiere and the debut of Negan they may feel all hope is lost but just wait until the King appears on the show. This issue is the start of a new hope for Rick and his crew leading to their all out war against Negan and the Saviors.